Geisel Honor-winning author/illustrator Salina Yoon introduces readers to a beloved character in Penguin and Pinecone--a picture book about friendship that will warm your heart! When curious little Penguin finds a lost pinecone in the snow, their friendship grows into something extraordinary! But Grandpa reminds Penguin that pinecones can't live in the snow--they belong in the warm forest far away. Can Penguin help Pinecone get home? And can they stay friends, even if they're miles apart? Prolific author/illustrator Salina Yoon's spare text and bright, energetic illustrations bring to life this endearing story celebrating friendships lost and found, and overcoming the odds to be with the one you love. Penguins make the best pets! Follow a little girl and her pet penguins as they flip pancakes, spin on the ice, and read a story before catching some zzz's! What is a boy to do when a lost penguin shows up at his door? Find out where it comes from, of course, and return it. But the journey to the South Pole is long and difficult in the boy’s rowboat. There are storms to brave and deep, dark nights.To pass the time, the boy tells the penguin stories. Finally, they arrive. Yet instead of being happy, both are sad. That’s when the boy realizes: The penguin hadn’t been lost, it had merely been lonely. A poignant, funny, and child-friendly story about friendship lost . . . and then found again. Can there be such a thing as too many adorable penguins? One day a penguin sees a most unusual sight: a hat floating in the icy water. Even more unusual? Out of the hat pops a baby penguin. But not just one baby penguin . . . or even two. But a third, and a fourth, and on and on! At first the mama penguin is happy for the company. Until she realizes that taking care of a family is very hard, very tiring work, and what she could really use is just a moment alone. Yet as newcomer Melissa Guion reminds us in her adorable debut picture book, alone time is all well and good, but, it’s family time that’s best of all. Perfect for any mama penguin with a family, or classroom, full of mischievous little ones. And perfect for toddlers who will smile over all the little penguins and the silliness that ensues. A little penguin loves to do many things during his fun day, but nothing beats getting kisses and cuddles from his mama! Follow a little penguin as he spends his day doing everything he loves--such as eating pancakes, playing with his toys, drinking hot chocolate, spotting rainbows, and more. But what does he love the most? Kisses and cuddles from his mama! Sometimes all you need is a good friend to help you be brave. Ella has a surprise for Penguin—glow-in-the-dark stickers! But to see the stickers glow, Ella and Penguin must be in the dark. And the dark is so . . . dark! If only they could see the stickers glow in the light—but that won't work. Soon Ella and Penguin find out that if they stick together, they can face anything. Megan Maynor's sweet and lively text, paired with Rosalinde Bonnet's irresistible illustrations, will have readers clamoring for more Ella and Penguin. While others do “penguin” things, Chilly da Vinci—self-declared inventor penguin, builds machines that don’t work…yet! Chilly ties into the popular "maker" movement with humor and imagination. While others do “penguin” things, Chilly da Vinci—self-declared inventor penguin, builds machines that don’t work…yet! Penguin wants to fly like other birds, but he has trouble doing so when he tries! Penguin is confused because he has wings and can flap, waddle, and leap like other birds, but he lands flat on his stomach when he tries to fly. When Penguin asks his dad why he can't fly, his father tells him that penguins swim. But Penguin doesn't want to accept this! Will he be able to find a way to fly? Kids can practice counting and get in the holiday spirit in this festive story about five playful penguins! Get ready for some counting fun with five spunky penguins as they prepare for the best Christmas party ever! Whether zooming through the snow, decorating the tree, wrapping presents or singing, artist Steven Lenton’s adorable, playful penguins will get kids in the holiday spirit and help them improve their counting skills! Perfect for holiday gifts, Five Christmas Penguins features a foil and embossed cover treatment with shiny foil throughout. This penguin has come to tell you that life in Antarctica is no paradise. For starters, it is FREEZING. Also, penguins have a ton of natural predators. Plus, can you imagine trying to find your mom in a big ol’ crowd of identical penguins? No, thank you. Yes, it seems there is no escaping the drudgery of your daily grind, whatever it might be. Or perhaps we’ve just learned that grumps are everywhere. . . . While shopping with her two dads for supplies for her birthday party, Harriet, who is wearing a penguin costume, is carried away by a waddle of penguins and must hatch a plan in order to get herself back to the store in the city. Two young adventure-loving and gadget-obsessed penguins dream of joining the FBI (Frosty Bureau of Investigation) in Sam Hay's hilarious new illustrated chapter book series, Spy Penguins. Adventure-loving penguin Jackson dreams of being a secret agent like his Uncle Bryn, who works for the Frosty Bureau of Investigation. Jackson and his gadget-inventing best friend Quigley might officially be too young to join the FBI, but they aren’t going to let that stop them! They just need to come up with the right plan to prove that they are worthy. But when one of Q’s inventions goes dangerously wrong, Jackson suddenly finds himself dropped right in the middle off an FBI stakeout. There’s fishy business afoot at the city’s aquarium; rare fish are vanishing and not even the FBI can work out what’s going on. It’s up to Jackson and Quigley to solve the crime! Penguins go on incredible journeys, toboggan on their stomachs, and survive in the harshest climates. Turn the pages of this giftable series to find 10 reasons to love penguins, and five ways you can show you care. Five little penguins flee from a seal, flying through the water, and find themselves in an innocent game of tag. Come on an unexpected journey with a fearless blue penguin in Rob Biddulph's debut picture book, Blown Away. In this brilliantly captivating and gloriously illustrated story, a brave young penguin takes a kite flight to a tropical paradise. But in the end, he realizes that home is where his igloo is. "Welcome to Polar Bear Island. NO OTHERS ALLOWED!" So says Parker, the mayor, eager to keep the island just the way it is. But Kirby, a newly arrived penguin, is shaking things up--much to Parker's dismay. The other polar bears love Kirby and beg Parker to let Kirby (and her family) move in. Will Parker agree . . . and make the island fun for EVERYONE? With its gentle message of inclusivity, this energetic story will delight children. A pirate hat. A sunny day. For Penguin Blue A game to play... Penguin Blue is back in a swashbuckling new adventure about pirates, treasure, and friendship. While sailing the seven seas Captain Blue and his friends are unexpectedly sunk! But with a shipwreck to explore and a mysterious stranger on a desert island to meet, they might still find some treasure after all. The follow-up to the bestselling and award-winning Blown Away. Meet Baby Penguin! How does Baby Penguin stay cozy and warm? Where does Baby Penguin play? Follow along as she experiences her world, from playtime to bedtime. 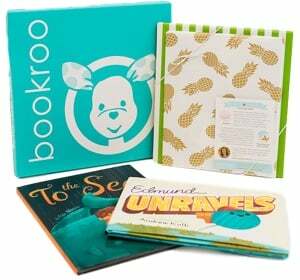 The simple, comforting stories in this go-to baby gift series have made it a multimillion seller. Featuring a permanently attached plush finger puppet, each volume offers parents and children a fun, interactive way to play and read as they build a lifelong love of books together. Who will help the little red elf prepare for Christmas? This clever retelling of ""The Little Red Hen"" features a little red elf and her lazy friends: the hare, the penguin, and the reindeer. When the cheerful elf can't get help planting the pinecones or decorating the Christmas tree, she knows just how to reward her friends.